Used to be movie studios hated peer-to-peer file-sharing services. But times, they change, and sometimes your enemy can become your friend (think Magneto and Professor X, but in reverse), or at least your ally, if they have something you need. 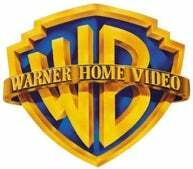 In this case, what Warner Bros. needs is a fast and easy way to distribute video content via the Internet. It's reached a deal with BitTorrent, Inc. to allow legitimate downloads of WB movies and TV shows, though, to be honest, the service sounds about as appealing as yardwork. ...our suspicion is that conditions will vary a lot; for many people, this could be a matter of hours, not minutes, if regular BitTorrent experience is any indication of the new system's performance. This length of time will certainly be a buzz kill for those into instant gratification. There's a good chance that you could run to the local store, buy a copy of the movie on DVD, bring it home and pop it in—all before the download completes.